Despite the many success stories from all around the world, for many, getting started with Critical Chain is a difficult and lengthy search. If I want to learn something new, I try to find some training and tools online. And I see if I can get some help from an expert. And that all can be a challenge for getting started with CCPM! If you don’t like this hassle, then you might find it interesting, that we have designed a program, that I would have liked myself, when I was still at the beginning my Critical Chain journey. In just 6 weeks, learn and apply Critical Chain to your own projects. 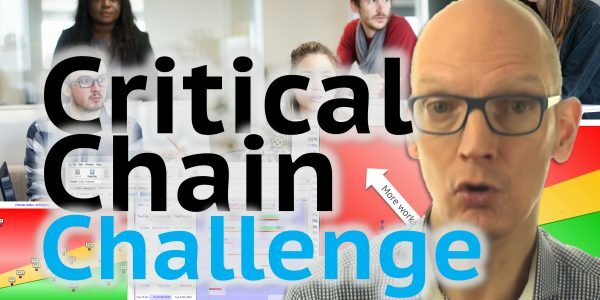 You get webinars, Q&A sessions, online how-to video’s, cases, subscription to CCPM software, personalized advice and membership of the Critical Chain Challenge Community. Subscription for the current Critical Chain Challenge has been closed. If you like to receive a message when the next Challenge opens for subscription, we love to update you. I want to stay tuned!